Shawnee State University is a Gateway for LIGHTS which provides expertise, training and resources to the regional workforce, entrepreneurs, companies and local communities. 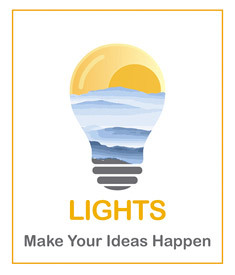 LIGHTS is for individuals who live or work in the 28-county region and are interested in building a product and/or creating a business. This program partners with various regional hubs and gateways that give its team the ability to make your ideas happen. This Business Development Program enhances the economic potential in Pike, Adams, Brown, Lawrence, Jackson, Ross, and Scioto counties through the facilitation of personal and professional development strategies and ultimately through job creation and retention. This organization’s primary mission is to provide new and emerging businesses with the resources and expertise they need to grow in a rapid and sustainable way so as to increase the economic vitality of the region. NCET2 recognizes that Startup Officers are the backbone of any university's research commercialization program. They work to support the world's most transformative companies created at their university by students, researchers, alumni, faculty, and staff. SOs are instrumental in coordinating with national and regional angels, VCs, and corporates that help fund, mentor and support university startups. NCET2 also works extensively with Fortune/Global 1000 open innovation and corporate venture groups to align university startups with their technology and scouting requirements. Through the semi-annual University Startups Demo Day and annual University Startups Conference in Washington, D.C., NCET2 showcases the central role of Startup Officers and the university community to national competitiveness and economic growth. NCET2's mission is to strengthen the innovation and entrepreneurial network by bringing together Fortune/Global 1000 companies, angels, VCs, economic development organizations, state and federal agencies, universities and entrepreneurs. The U.S. Small Business Administration’s Columbus District office provides many free resources for small businesses in our region. Check out their resource guide HERE. Watch our events calendar, and sign up for our newsletter to stay up-to-date on future SBA events and workshops at the Kricker Innovation Hub. Visit the SBA Columbus District office.